Being in business means taking a risk. Working with us means your odds get better. The Weissman premises liability team defends clients against a wide range of claims brought by persons injured while on the premises of another. We are experienced with early intervention, including risk management, investigation and resolutions claims before they become lawsuits. 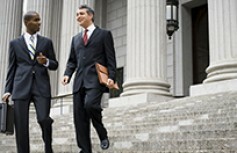 Our lawyers work closely with the client to evaluate and implement the best course of action, whether that is a motion for summary judgment, alternative dispute resolution, or trial. Firm clients include property owners, managers and insurers of properties, retail stores, restaurants, homeowners, office buildings, apartment complexes, and universities.